Here is an excerpt from my residency in the elementary classroom at the Montessori School of the Berkshires. 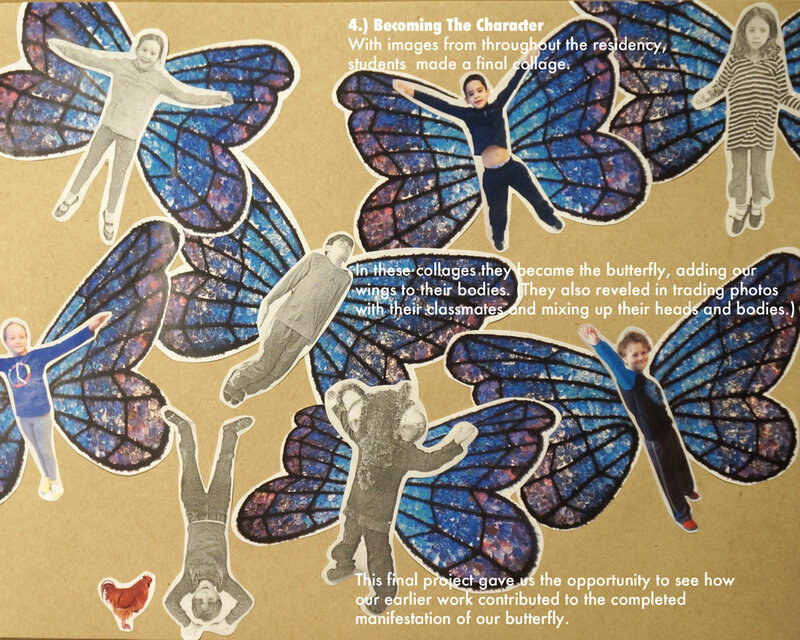 For six months we came together to make art, explore identity, and design a character which became our collaborative butterfly sculpture. The experience was enriching and an honor to get to spend so much time with these 45 students.